Scheduled triggers ask a given service periodically whether there are new bundles to be processed or not, but in the case of webhooks or instant triggers, the service notifies Integromat as soon as there are new bundles available. If your scenario contains a webhook, you have the possibility to schedule the scenario to run Immediately. In these cases, your scenario will run immediately after Integromat receives new data. Regardless of how you schedule your scenario, all incoming data is first saved in the queue. This is done because Integromat uses transaction processing to execute all scenarios. Thus, it may happen that a scenario terminates in its rollback phase and the data will be added back to the queue. In such a situation, you have the possibility to fix the scenario and rerun it again. 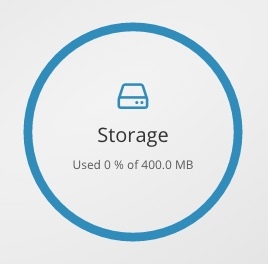 The data stored in the queue is counted into your storage space limit. In order to view a list of received incoming data, go to the Detail screen of a particular organization and click the Storage circle. The list shows from which scenarios the data was saved. The data can be deleted at any time. IMPORTANT: Incoming webhook data is always stored in the queue regardless of the Data is confidential option settings. As soon as the data is processed in a scenario, it is permanently deleted from our systems. For detailed information on creating your own webhooks, see the Webhooks documentation.